SOX PH will accept entries to the 3rd SOX PH Regional Photography Competition from November 15- December 30, 2018. The contest is open to amateur and professional photographers residing in SOCCSKSARGEN only. Submit YOUR BEST SHOT/S for 2018 (people, places, events). Participant may submit a maximum of three (3) photo entries. Each entry must have a corresponding English title and description, and indicate where and when the photo was taken. Entries must be original; they should not have been submitted to any other competition, and should not be subject to any copyright issues. Entries should not contain images of elected government officials. Entries must be in full color. Entries should not bear watermarks, signatures, frames or other markings, e.g. date/timestamps, etc. Entries must be submitted in digital format (.jpeg or .jpg) and must be at least 1600 pixels on one side. Only basic post-processing enhancements such as contrast, color balance, sharpening, cropping, dodging, and burning adjustments are allowed. It will be held between 15 November 2018 – 30 December 2018. The contest is OPEN to all elementary, high school and college students enrolled in any schools in SOCCSKSARGEN Region. Participant should submit a photo (one entry per student) showcasing a landscaped edible garden in any of SOX Farm Tourism sites or in their school. DEADLINE of submission will be on 30 December 2018, 11:59 PM. The deadline will automatically close and reject any entries that will be submitted thereafter. The entry to be submitted should be an image/photo with a corresponding “photo title” and “photo caption”. The caption must indicate the place where the image was taken, and must have an accurate description of what the photo is about. • Created and taken by the contest participant. • Created and taken using mobile devices like smartphones and tablets and SLR cameras. • In LANDSCAPE or PORTRAIT orientation. • Taken from 15 November – 30 December 2018. • Contain watermarks or any identifying mark. • Violate person’s rights, including, but not limited to copyrights and privacy. • Previously submitted or won in any photography contest. • Contain images of elected government officials. 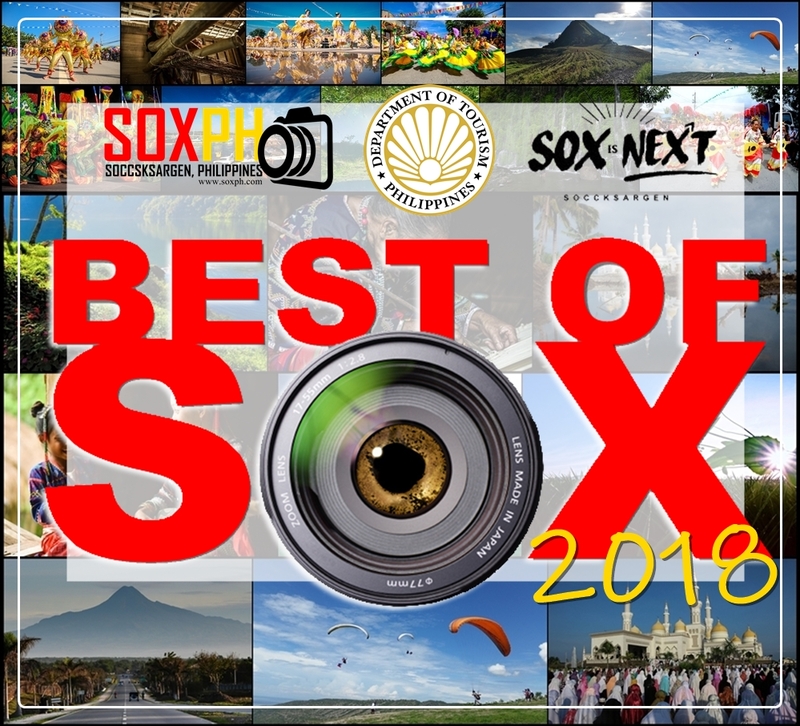 We are now accepting entries to the Best of SOX 2018: The 3rd SOX PH Regional Photography Contest!